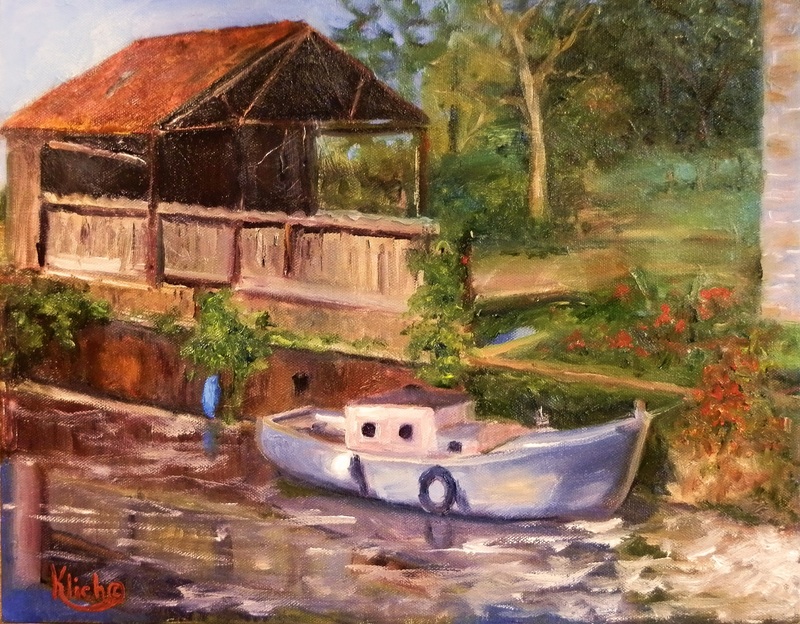 Klich paints a rustic boathouse, with a well-worn boat moored along side, waiting for it’s next voyage through the reflections in the dark waters of the Grand Canal on a sunny day. Visiting this fifteenth century castle was a very exciting highlight on my journey through Ireland. The castle was being restored, one room at a time by the owner, and over the years he had been purchasing items of wall hangings and furniture that was from that time period. There was so much of the castle in ruins it is hard to imagine him ever achieving his dream. I chose this part of the castle to highlight because I was drawn to the different shapes and textures. The vines growing all over just added to the mystery of the place. I used a palette knife to achieve the look of the walls and just a small bit of brushwork on the greenery. To view this episode of “Painting Journeys”, click on the highlighted title of the painting, “Leap Castle” Birr, Ireland or go to http://www.wscssheboygan.com. Go to Programming, scroll down to VOD (video on demand), select category “Arts, Music & Entertainment” and then scroll the shows for “Painting Journeys” “Leap Castle”.